Come on, admit it. 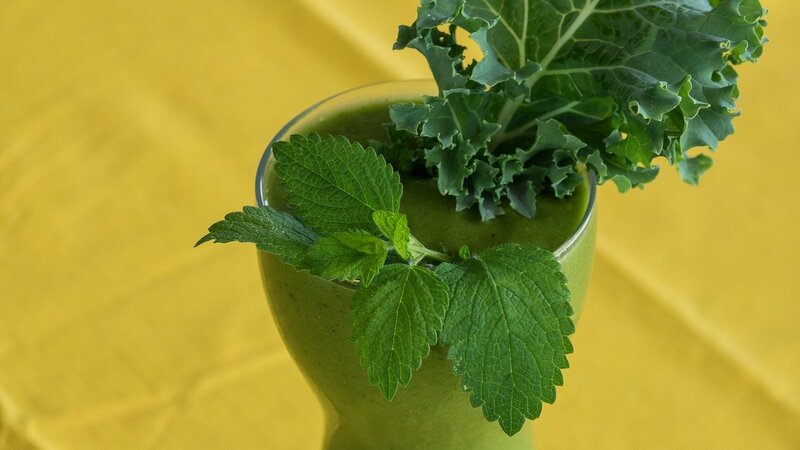 When it comes to kale, the only way you can choke is down is in a smoothie. And even then, you need the absolute best blender for kale, because if one tiny square of the green stuff gets stuck in your teeth, you’re gonna lose it, right? You have plenty of company! But if you’re anything like me, you’re hooked on that morning smoothie. It’s a great way to start the day, and the nutrition punch a good smoothie packs will have you feeling full until it’s time for a healthy mid-morning snack. Stay tuned for some great recipes that hide the kale and thrill the taste buds. Kale is considered one of the world’s superfoods. There’s only about 33 calories in one cup, along with plenty of vitamins A, K, and C, a good slug of fiber, and even some protein! It’s so darned good for you, and there are a number of great ways to prepare it, but the truth is that most people find it hard to embrace this fibrous leafy green. In fact, grinding up kale along with a bunch of other tasty ingredients seems to be almost everyone’s favorite one of working it into their diet. The only problem with that is, lots of blenders don’t exactly grind kale small enough to satisfy those that are put off by it. I’ve searched for the best blenders for kale, and the ones I’ve come up with below will please oven the pickiest of eaters. Don’t let the size of this little beauty fool you. This single serving personal blender chops the toughest greens and pulverizes nuts and seeds to create a smoothie without chunks and big globs of ingredients. This personal sized single serving unit will pick up nicely where your blender leaves off. Most blenders do an okay job of making smoothies, but green smoothies are a different story. It takes real power, plus well-positioned, sharp blades, to really grind leafy greens into microscopic pieces, and the Nutribullet Pro does an admirable job. And it couldn’t be simpler to use. Just fill up the cup with your favorite ingredients, screw on the top, and press it into the base. In a short time you’ll be drinking the best smoothie, made with the freshest ingredients. It’s quicker to use than a regular sized blender, and cleanup is a snap. We can’t think of too many, but some customers have complained that it’s a bit noisy, and we have to admit that you may wake up other household members when you fire this baby up. Some people have also complained that their units leaked, but this is pretty rare and is sometimes because the cups are over-filled with ingredients. Next up we have the venerable Ninja professional blender, model BL660. The Ninja brand has been around for quite some time and has built a solid reputation for themselves. I like the large size of this blender, especially when I’m making smoothies for more than just me, like on weekend mornings. It’s really convenient to just double up the ingredients and only spin everything just one time. I do think that the smaller 16 ounce cups, however, do make a more consistent smoothie. One of the little things I also like is the fact that it pours well. It might seem insignificant but it really is a feature that I appreciate. This blender is so powerful that there’s never anything left over that isn’t blended fully. It incorporates all the ingredients and does so quickly and efficiently. Cleanup is not too bad, either, on a par with other blenders I’ve owned, and I like I can toss it in the dishwasher if necessary. I always clean the blender immediately after use, so I’ve never had a problem, and I suggest you do the same. People have complained about how noisy these blenders are, but honestly, it’s no different than others I have owned. It is loud but not obnoxious. Please be careful of the blades when you clean this blender. As with all blenders, these blades are very sharp and could cut you if you let your mind wander while you’re cleaning the unit. Remember they are removable, Please Be Careful! This blender just may be one of the best kept secrets around. You’ve undoubtedly heard of Jamba Juice. They sell all kinds of good stuff, but did you know they also sell blenders, and extremely good ones at that! Allow me to introduce you to the Jamba Quiet Shield Blender. I can’t think of much not to like about this wonderful blender. The absolute best feature is how quiet it is. You can actually make a smoothie for yourself before work and not have to worry about waking up anyone else in the house. This is a big deal, as it’s noticeably quieter than any blender you’ve ever heard. I know that’s hard to believe, and I wasn’t totally convinced until I got one in the house. I’m a believer now, though. Some people have reported that their blenders leaked, but I’ve never had a problem with this, so maybe they just received a defective unit at the beginning, and with a company like Jamba Juice behind this product, I have to think they’d make it right if something were wrong. For a moderately priced blender that’s way below some of the more famous ones, this blender is definitely worth a look. The Blendtec Total Blender is a machine for those of you who are serious about your smoothies. Not only that, but this versatile machine can do so much more in your kitchen, it just may replace 2 or 3 of your devices. It’s a commercial quality blender that you can see in coffee shops, bars and professional kitchens around the world, and if you’re ready to up your game, this is the unit for you. This is a serious blender for those of you who are ready to make the leap from a so-so blender into the big time. The powerful motor and versatile speeds and programmable cycles means that you’ll have no trouble blending, chopping, crushing, or pulverizing anything that you care to load into this high quality blender. One word of caution with this one. Some folks have reported that their blender jars were continuously breaking and they ended up buying multiple jars. I believe this is an old issue that has been corrected now, and they newer units don’t have this problem. All in all, considering this unit is a bit more pricey than some of the others, it has increased functionality and is very high quality, so if you’re ready to take that next step, the Blendtec is a great choice. There you have it; 4 high quality machines that are great blenders for kale while being versatile enough to serve other purposes as well. There’s something for everyone here, with enough price points so you can make those greens smoothies you love so much!